In June 2011, federal authorities indicted fifty-one members of a Latino gang that had engaged in racially motivated attacks on black residents in a struggling suburb named Azusa, California, near Los Angeles. The tally of crime was high: between 1996 and 2001, at least eight families saw their houses firebombed, and in 2000, a young black nurse name Ge'Juan Salle was gunned down as he strolled out of an auto parts store with his cousin (Sewell 2011). Over the last decade, a flurry of media stories has tended to focus on exactly these sorts of conflicts, creating the appearance of steadily increasing and worsening tensions between African Americans and Latinos (especially Mexicans) in Southern California. Aside from the fascination with gang activity, reporters have often focused on local politics and youth demographics, weaving together tales of troubled ethnic successions in cities like Compton and student conflagrations in the high schools of Los Angeles. The often unstated subtext: an underlying economic dynamic drives most of the conflict, with the basic storyline suggesting that Latinos, particularly immigrants, "take" jobs and impair black economic fortunes. Both the local conflicts and the economic concerns are real-but often exaggerated or just one part of the story. For example, while the events in Azusa caused some African Americans to leave, others stayed as the city formed a hate crime task force that eventually became the Human Relations Commission, which now hosts an annual youth conference to address issues of race and difference; one of the former gang members has said, "We were all brainwashed. ... Maybe the cycle will be broken now and future generations will not see color" (Sewell 2011). The failure to tell the whole tale goes beyond just one Southern California suburb or just one wave of hate incidents; in general, the media tends to overreport crime by minorities, between races, and in the inner city (Dorfman and Schiraldi 2001). This focus on the negative is endemic to journalism-it stems, in part, from news organizations' disproportionate interest in conflict. But the media's particular fixation on black-Latino conflict also seems to be related to an attempt to portray all groups, and not just whites, as having to overcome prejudice. This reportorial sleight of hand, intentional or not, takes the focus from racist structures to racist attitudes (Nieva 2009). It not only misses the daily accommodations and negotiations within neighborhoods; it also has its own ripple effect of distancing groups-and given the pressing needs of inner-city communities, there is just not much room for that. This is not to dispute the reality of economic and other concerns: tensions do exist, and there is some evidence of job displacement by Latino immigrants, particularly in key areas of the local economy. Since this is happening to blacks, who have historically been excluded from job markets, the Latino influx can be conveniently considered as the contemporary cause of an ongoing problem. Yet, as it turns out, research suggests that the effects on black employment are overstated, and those suffering the most harm from immigrant labor market competition may actually be U.S.-born Latinos, who are crowded into market niches very similar to those of blacks. Moreover, the positive impacts of Latinos on local labor markets, particularly the newfound ability to unionize, are rarely lifted up in the popular storyline. Nuances like these-as well as examples of groups working together-should serve to relax the overwrought and unchallenged narrative of black-Latino conflict. In fact, African Americans and Latinos have more than enough reasons to get past the dominant paradigm of competition. These two groups not only share fences in areas like South L.A.; they also share critical social needs: healthy neighborhoods, good schools, decent public transportation, well-paying work, and neighborhood safety. Forward-looking coalitions have been trying to forge ties over these issues. Laura Pulido (2006), Jaime Regalado (1994), and others have well documented the generations of these coalitions in Los Angeles. However, in this era, the sheer size of the Latino population and its increasingly immigrant character, the relative and continuing decline of black-based political power, and the changing nature of the Los Angeles economy and the stresses that this has placed on both ethnic groups constitute new dynamics, challenges, and possibilities. Indeed, the current era is also marked by an extraordinary opening for municipal influence that has been created by community-based groups in Los Angeles, many of whom have gone well beyond the neighborhood in their organizing and have explicitly focused on building black-brown alliances. To do so, they have had to go beyond the traditional-and easier-common-issue politics; they have instead lifted up differences and divisions and worked through them to create an uncommon but inspiring movement for social justice. Thus, I argue against the pessimism that has marked many accounts of demographic transformation in contemporary L.A. and instead stress the realities and possibilities of interethnic organizing in the years to come. I begin by reviewing the demographic change that has brought African Americans and Latinos into close geographic, and ultimately political, proximity in Los Angeles. I then turn to the economics of the situation, pointing to some of the reasons why tensions have developed and telling a new and-I hope-more accurate story of the nature of black-Latino competition and complementarity. I then consider the coalitional possibilities, highlighting the efforts of some groups to develop leadership, including that of youth, and to take racial equity into account as they focus on addressing the underlying economic and educational challenges. I argue that these efforts are well-poised to create a new set of regional and national possibilities for progressive and multiracial politics. A quick caveat about my use of "Latinos" as a category (and even "brown" as a shortcut). Latinos are certainly not monolithic, including in skin tone. In Los Angeles County, for example, those marking themselves with the ethnic categorization "Hispanic or Latino" are more than 75 percent Mexican, but nearly 15 percent are Central American (mostly Guatemalan and Salvadoran), and about 2.5 percent are South American. Moreover, some Latinos are black; in Los Angeles, 0.5 percent of Latinos mark their race as "black." And because the U.S. Census asks all Latinos to choose a "race," another 43 percent of L.A.'s Latinos mark themselves as "white," 53 percent as "other," and 0.5 percent as indigenous (or Native American). This is a different mix from those in other parts of the nation; on the East Coast, Puerto Ricans and Cubans make up much larger shares of the Latino population, and more Latinos choose black as their racial identification. All these distinctions matter-in Los Angeles, the country-of-origin distinctions for the immigrant portion of the Latino population often correlate with particular sending periods and receiving neighborhoods-but with the overall focus in this essay on the broad topic of black-Latino relations, I leave those important details for other authors and future essays. Demography and Geography in L.A.
Los Angeles has always been the canvas to demographic flux. Boyle Heights was once home to Jewish immigrants; it is now near the heart of Latino L.A. Little Tokyo was the heart of the prewar Japanese immigrant population; with World War II and the internment, it became Bronzetown, a new home for incoming black workers, only to morph into a sort of tourist trap and now artist colony. Hollywood was the suave center of entertainment; it was transformed into a shabby set of boulevards with drugs and prostitution before its current incarnation as a regional nightlife hub and the home of Little Armenia. The city and its places, in short, have always been the objects of repopulation and reinvention, and the current era is no exception. To understand the present, however, requires that we understand the past: onto what racial landscape are we etching yet another set of groups and dynamics? The broad trends are shown in figure 1.1, in which the steady decline in the percentage of whites in Los Angeles County can be seen over the period 1940-2007. As dramatic as the percentage shifts may be, perhaps more startling is looking at the raw numbers (figure 1.2): the number of whites in Los Angeles County actually peaked in 1960 and has been declining since; the number of African Americans has been falling since 1990, and population growth has been driven by Latinos and Asians. But a look at the data does not tell the whole and much longer story. From World War II until the late 1960s, five million African Americans left the South, fleeing rampant racism and joblessness as part of the second "Great Migration." Blacks from Texas and Louisiana, in particular, moved to Los Angeles where the World War II defense industry created a constant demand for laborers in ship, plane, and steel production. Both male and female African Americans found upward mobility in employment from World War II through the 1960s; unemployment figures dropped and skills rose. While this healed some historical wounds, new ones were soon inflicted: as early as the 1960s access to the hard-won jobs in L.A.'s industrial sectors began to slip. For one thing, the best manufacturing jobs were held by whites in the farther-flung parts of the region, which inner-city blacks could not as easily reach. Moreover, employer preferences shifted away from blacks as new populations grew; Josh Sides interprets data from the U.S. Equal Employment Opportunity Commission that show that by the 1960s "the preference of industrial employers for Mexican over black workers-especially in the metal and food industries-had become thoroughly entrenched, further eroding opportunity for black workers in blue-collar occupation" (Sides 2003: 94). This set the stage for what would be further deterioration in black economic fortunes when a wave of deindustrialization (and later immigration) struck Los Angeles and the nation in the 1970s and 1980s, a topic I explore in the next section. Focusing on the geography of L.A.'s demography, I start with black Los Angeles and its identified heart: South Central. Until 1953, African Americans were boxed into specific neighborhoods within South Central by racially restrictive housing covenants. When covenants lost their power, whites fled the industrial neighborhoods of South L.A. and its adjoining suburbs (such as Compton) and took flight for the beaches and the San Fernando Valley. Black families soon stretched into new areas of South L.A.; spurred by the 1965 unrest, prosperous blacks moved from the central city to the ethnically mixed neighborhoods near Crenshaw Boulevard (Sides 2006: 121). In the 1980s, South Central remained more than 50 percent black, but many upwardly mobile families moved to Inglewood, Hawthorne, Downey, Paramount, and Long Beach, leaving behind a more impoverished and disadvantaged African American community. By 1990, another trend surfaced: the natural rate of increase in the black community was being offset by out-migration from Los Angeles County (Morrison and Lowry 1994: 28-29). Latinos have been members of the Los Angeles landscape longer than African Americans. Despite the long-standing history of Latinos in Los Angeles, however-Mexicans retained an influence here after the United States annexed this part of Mexico in the nineteenth century-Latino immigration has always been a tenuous matter. For example, L.A. was the site of mass deportations in the Depression (Garcia 2001: 108), but it was also a main focus for the Bracero Program during World War II. Garcia (2001) describes how white Angelenos went to war, leaving the citrus industry-a regional economic driver-without workers. During this time, the U.S. government contracted Mexican nationals, undercutting U.S.-born Latino wages. Even though the program ended, the desire for cheap labor remained, in part setting up the illegal and unstable nature of immigrant labor that we see today. This history helped embed Los Angeles as a gateway city for immigrants, a status resulting-surprisingly-from the civil rights movement. President Lyndon B. Johnson's enactment of the Great Society gave legs to the hopes of many protestors seeking humane treatment of all people. A natural corollary was to end discrimination against soon-to-be Americans, an issue addressed in the Immigration Act of 1965, which opened American borders and reshaped the L.A. landscape (Briggs 2004: 12). Migration then builds on migration; as Enrico Marcelli (2004) notes, more than other factors, established immigrant communities are attractive to new migrants, because long-time migrants can help the newcomer transition into the new society. Thus, East Los Angeles has become a hub for immigrant Latinos. Similarly, Pico-Union hosts new El Salvadorans, just as it was once the entry point for their refugee predecessors (Morrison and Lowry 1994: 29). Through the 1980s, the 1990s, and the early part of this century, black and Latino concentrations have loosened and shifted (see figure 1.3). In 1980, African Americans were distinctly in South Los Angeles, Altadena, and Pacoima. Latinos were concentrated in East Los Angeles and the Gateway Cities, and to the east. But in the following decades, the sheer numbers of Latinos increased, crossing older territorial boundaries, while the black population shifted its center west to Crenshaw Boulevard and shrank. One way to see this is through the "isolation index," a measure that indicates the percentage of the same-group population in the census tract where the average member of that racial/ethnic group lives. Figure 1.4 reports that over the past few decades, blacks have become less residentially isolated (so have whites but they remain much more highly segregated than blacks). While some African Americans have moved to nonblack neighborhoods, the more reasonable explanation is that many Latinos have moved into historically black neighborhoods. The dashed line shows that the exposure index-the probability of black Angelenos having Latino neighbors-has risen from 4 percent in 1940 to 41 percent in 2000. Figure 1.4 also tells us that the change is not symmetric: in fact, Latinos are more isolated than ever. This is possible because they have become even more concentrated in certain locations, including the inner-ring suburbs of Huntington Park, Bell, Cudahy, South Gate, and elsewhere down the Alameda Corridor. This can lead to a county-level lack of awareness on the part of Latinos regarding the dramatic shifts in exposure that have occurred for blacks; some Latinos are dealing with this issue but most are not. In general, Latinos need to be aware of how blacks may be somewhat defensive of their territory, but many are not in a situation in which they have to confront this issue on a regular basis (Zhou 2001: 221). One place where the demographic sea change has been most dramatic is in South Los Angeles high schools. Pastor and Ortiz (2009) show how in the early 1980s, African Americans constituted more than half of all the student bodies of Crenshaw, Dorsey, Fremont, Jefferson, Jordan, Locke, Manual Arts, and Washington Prep High (see figure 1.5). While the disproportionate representation does reflect segregation, the schools were also some of the only majority black public institutions in the region and hence were anchors of the community. In the 2008-9 school years, however, only Crenshaw, Dorsey, and Washington Prep were majority African American, with Latinos having the majority in all other South L.A. schools (see figure 1.6). Some scholars have argued that the Latino "invasion" of black communities was the underlying tension for the 1992 unrest (Morrison and Lowry 1994: 32). Our own research (Pastor 1995), including a multivariate analysis of the factors that drove the pattern of physical damage, suggests that economic distress was more the factor than was black-brown tension. Still, there were significant struggles that emerged in the wake of the unrest, particularly over the allocation of jobs in construction and other sectors that were promised as part of the rebuilding process. Among changing demographics, one thing has stayed the same: the disinvestment of the common turf that low-income Latinos and African Americans call home. South L.A. is denser, dirtier, and in more disarray than other parts of L.A. Figure 1.7 shows that blacks and Latinos generally live in neighborhoods that are denser than those of whites or Asians in L.A., although this is strongest for Latinos. The figure shows L.A. County census tracts by density, where tracts in the 1st decile are the least dense, and those in the 10th are the most dense. Asians and Pacific Islanders (API) and blacks have little variation by decile (that is, across the bars in figure 1.7); at fairly consistent rates, they tend to live in neighborhoods across the density spectrum. Whites and Latinos on the other hand have the greatest variation, virtually trading off with each other. Latinos make up the majority of residents in the 7th, 8th, and 9th densest sets of tracts in the region. South Los Angeles itself is not the densest in terms of its physical infrastructure, in part because it has a solid stock of single-family homes, but many of these homes have been converted into multiple dwellings or have large, extended families or several families, living under one roof. Such conditions put an added amount of strain on the day-to-day lives of inner-city Angelenos. Just like crowded roommates who may or may not like each other, Latinos and blacks living in close quarters are bound for an occasional fight. Tensions do exist: in the county, blacks and Latinos are "the most frequent victims of hate crimes and the majority of black victims were targeted by Latino suspects and vice versa" (Los Angeles County Commission on Human Relations 2008: 10). However, surveying a broader slice of regional hate crimes by the victim's national origin and ethnicity, Pastor and Ortiz (2009) note that when looking from 1991 to 2006 there appears to be a stronger correlation between hate crimes and economic and social stressors than between hate crimes and demographic changes. For example, it seems more likely that the deep recession and the racialized immigration debates of the early twenty-first century have caused more violence than have Latino-black interactions in South Los Angeles (21). And while the neighborhood may produce tension, it also produces a commonality of problems, including higher levels of environmental hazards. Blacks and Latinos have cooperated on issues of "environmental justice," with one of the earliest examples being the solidarity and support between Concerned Citizens of South Central Los Angeles and the Mothers of East LA to resist the placement of a "waste to energy" incinerator in the area bordering their two neighborhoods in the mid-1980s. But serious problems remain: Morello-Frosch, Pastor, and Sadd (2001), for example, have studied the cumulative health risks due to air pollution of Southern California, finding that across each and every income band, blacks and Latinos (and Asians) suffer a greater risk of cancer from air pollution from all sources, both stationary and mobile, than do whites (see figure 1.8). One mobile source receiving attention of late is the diesel truck traffic wending its way through South L.A. and the adjoining inner-ring suburbs and, in the process, pumping exhaust and carcinogenic particulate matter into the lungs of residents. As for stationary sources, the industrial history of South L.A. has left contaminated sites called "brownfields" with toxins in the soil. And South L.A. is not known particularly well for its lush greenery, either, which is a concern in and of itself, especially as we head toward a warmer global climate. As temperatures increase, places like South L.A. will warm at a faster rate because of the "heat-island" effect, wherein a lack of greenery and an abundance of dark materials like asphalt absorb heat and raise neighborhood temperatures (Morello-Frosch et al. 2009: 8; Oke 1973). Morello-Frosch and Jesdale (2008) found that in Los Angeles, the poorest and most nonwhite communities have the smallest tree canopies and the most impervious surfaces. Further, research by the USC Center for Sustainable Cities (Sister et al. 2007) finds that the South L.A. subregion has the fewest parks per capita in Los Angeles. While this has implications for physical health related to exercise, it also means that as the climate warms, South L.A. residents are highly susceptible to heat-related illness and death (Morello-Frosch et al., 2009). While I have concentrated above on the changing spatial patterns of blacks and Latinos in Los Angeles, the economic dimension is equally important. In general, this story has often been told with an emphasis on competition and with few voices challenging the dominant narrative. Getting the story right is a worthy cause, because, as it turns out, the economic competition, although present, pales in comparison to the range of potential common interests. But getting to commonality is not simple: it requires understanding where tensions and differences are real so that these can then be addressed and defused. I'll get to that challenge soon, but first we should review the history of the Los Angeles economy and the ways in which it has impacted African Americans and Latinos. Los Angeles's economic history seems to be a sort of national story writ large. In the post-World War II era, Los Angeles bloomed because of federal defense contracts and federally subsidized suburbanization. Good jobs in auto, aerospace, and steel industries grew the middle class of all colors, and in 1964, believing that blacks were rising buoyantly with this tide, the Urban League proclaimed Los Angeles as the best among sixty-eight cities for African Americans (Soja 1998: 434). Strikingly, this was right on the eve of the Watts unrest, a revolt catalyzed by police action but deeply rooted in unemployment and poverty. If manufacturing was key to black economic progress, its decline similarly led to challenges. Manufacturing employment in Los Angeles peaked in 1979 and has been slipping ever since. The fall in Los Angeles was cushioned by military spending during the Reagan years and the birth of what might be termed "reindustrialized" sectors, including light manufacturing, garments, and other industries reliant on a combination of immigrant labor and a highly responsive and cost-efficient logistics industry. This new manufacturing meant lower-quality and lower-paying jobs, as unionization in manufacturing fell from 34 percent in 1971 to 19 percent in 1987 (Wolff 1992: 16). And it was this weakened structure onto which an avalanche of job loss took place over the 1990s. From 1990 to 2005, the county lost 41.4 percent of its manufacturing jobs-more than the nation (19.6 percent) or the rest of the state (7.7 percent, partly because high-tech assembly persisted in the Silicon Valley). Of the manufacturing jobs remaining, the share in durable manufacturing dropped 10 percent (from 65.6 to 55.9 percent), and the share in lower-paying, nondurable manufacturing jobs rose 10 percent (from 34.4 to 44.1 percent); we're talking toys and food processing instead of cars. Lower-wage service sector jobs took over, with a growth rate of 7.8 percent, more than twice that of the rest of the state. Los Angeles, in short, has been bleeding good jobs: it was in the center of the deindustrialization bust of the 1980s and 1990s and on the periphery of the tech boom of the latter part of the 1990s (California Budget Project 2006). Amid this poor economic outlook, there is a sense that Latinos are not only taking space but also taking jobs and lowering income. Data from 2005 to 2007 show that Latino wages are actually well below those of African Americans, on average: $11.50/hour and $17.51/hour, respectively. But looking at workers in poor households only, the gap is smaller: $7.05/hour for Latinos and $7.65/hour for blacks. However, Latino workers in poor households have significantly higher total earnings; they earn $12,074/year while poor black workers earn only $7,546/year, on average. In essence, Latinos are working more hours, something that illustrates that a major driver for African American poverty in Los Angeles is joblessness, while for Latinos the problem may be low wages. Of course, both groups are doing worse than non-Hispanic whites: in 2005-7 the median household income for whites in Los Angeles County was $65,402, a premium of 75 percent over black households and 61 percent over Latino households. A review of the size of the labor force shows that in 1970 there were 428,100 working-age Latinos (ages 25-64), a number that grew consistently to 2.3 million during 2005-7 and one that likely underestimated undocumented workers. For working-age African Americans, those numbers increased from 319,600 to 444,494 over the same time span. The sheer size of the Latino population in the labor market, as well as the long hours they work (mentioned above), creates the sense that Latinos, particularly immigrants (see figure 1.9), are flooding the labor market and seemingly "leapfrogging" over lower-income African Americans. The bypass can feel particularly galling because it is the civil rights struggle of blacks that first opened up jobs to ethnic minorities and, as I have stressed above, played a key role in the 1965 immigration reform that led to increased immigration from Latin America. But, what is the reality with regard to the negative effects of immigrants on black wages and employment? At the national level, it is pretty much a wash. Economists generally agree that immigrants provide both labor complements and substitutes and that the complementary effect-enhancing the U.S.-born labor market and keeping industries alive in the United States-dominates, yielding employment and income gains for the native-born. But we must also look at the effect on native subgroups: many prominent economists argue that immigrant labor has had "marked adverse impacts" on high school drop-outs (Borjas, Freeman, et al. 1997: 3). Borjas and his colleagues estimate a 5 percent decline in real wages for natives without high school diplomas over a twenty-year period (1980-2000), attributable to immigrant workers (Borjas et al. 2010). While this decline applies equally to all those without high school diplomas, it hits African Americans especially hard, because they have a higher percentage of people without diplomas. However, their analysis focuses entirely on the substitution effect; Borjas acknowledges that taking into account the impact on productivity and the mix of capital and labor, "the negative wage effect declines to 2.4 percent relative to the college-educated (who actually saw their wages rise) over that twenty year period" (Pastor and Carter 2009: 148, utilizing data from Borjas et al. 2010: 34). Giovanni Peri (2006) suggests an even lower impact, on the order of 1 percent, while David Card (2005) believes the overall impact on less-skilled workers is nonexistent when regional or metropolitan effects are taken into account. Assume that 3 percent is a reasonable figure, particularly since it leans disproportionately in the direction of those most worried about immigration. Using that standard, a joint effort by blacks and Latinos to raise the nation's minimum wage by, say, one dollar, would overcome about a century's worth of immigration-induced wage decline. Coalition, not competition, would therefore make the most sense. Of course, all those data hold at the national level, but no one really lives there, and it's the local effects that are felt the most strongly. In an older but still relevant study on the Los Angeles region, Ong and Valenzuela (1996) found that recent Latino immigrants with low levels of education do increase African Americans job loss, but those African Americans who remained employed actually enjoy slight wage increases as a result of the complementary labor effect (175). In particular, African Americans indirectly have more opportunities as increases in immigration put more demand on public services, a sector wherein blacks are particularly concentrated (175). Ong and Valenzuela, however, pointedly argue that if the market weren't racially biased in the first place (that is, if we were to live in a country where racial inequality in, say, education, did not put blacks behind whites in work readiness), then competition between African Americans and Latinos wouldn't be an issue in the first place (166, 175). It is quite possible, however, that the localized displacement impacts may have increased in recent years. Utilizing a novel procedure to calculate the share of undocumented Latino immigrants by industry, Pastor and Marcelli (2004) found that in California, wages and the number of positions did drop for black laborers in occupations that now have a large number of unauthorized immigrant employees. However, wages and employment in all other occupational groupings rose, echoing the complementary impact found earlier by Ong and Valenzuela. Pastor and Marcelli speculate that if individual characteristics-education, for example-are accounted for, then those blacks left behind in this phenomenon might be those with the least human capital (118) and suggest that policy attention should be focused on education rather than immigration. Another area for attention may be labor market discrimination. Consider, for example, the median earnings of various ethnic groups at different levels of education in Los Angeles County. Note that African Americans who did not go to high school or dropped out fare worse than whites and Latinos. With either a high school diploma or some college, blacks regain their edge over Latinos throughout the remaining educational categories, something that suggests why the labor market competition may feel less pressing to African American professionals. Still, both groups experience a persistent gap with whites at all levels of education. Other evidence of employer preferences suggests that discrimination is a big issue for lower-skilled African Americans (Moss and Tilly 2001), something that seems apparent in the large wage gap for blacks with less than a high school diploma, as shown in figure 1.10. Of course, another part of the picture is immigration status: L.A.'s Latino workforce includes a significant number of undocumented migrants, and so part of the lower returns on education reflect the advantage that employers take of those who are less secure workers. On the other hand, many employers prefer immigrant labor, not simply because of low wages, but also because immigrants often refer other immigrants into employment, something that lowers the cost of job searches for both the immigrant and the employer. William Julius Wilson (2009), who has recently tried to weave together structural and cultural reasons for poverty, argues that the "chronic poverty and exploitation in poor black neighborhoods tends to feed inclinations to distrust," and, therefore, black workers may also be less willing to recommend members of their neighborhood networks to employers, further limiting the "bridging" function associated with social capital (94). As economist Michael Stoll (2006) notes, these patterns lead black men to jobs for which applicants do not need a network to be hired, including public sector jobs that often rely on straightforward testing by civil service standards. What does this mean for the composition of employment for African Americans and Latinos? In figure 1.11, I look at the relative shares of blacks and Latinos in industrial sectors in Los Angeles. As can be seen, the highest Latino presence-apart from the very high percentage in the very small agricultural sector in the few parts of Los Angeles County that remain rural-is in construction; manufacturing; and repair and personal services. Arts, entertainment, recreation, and food services; wholesale trade; and retail trade are not far behind. While not shown in the graph, a more detailed breakdown reveals that the presence of specifically immigrant Latinos is disproportionately large in the same exact industries, showing that immigrants may actually crowd U.S-born Latinos more than they do African Americans. Blacks have an extraordinarily small footprint in construction, wholesale trade, and manufacturing; their largest shares are in public administration and education, health, and social services, as well as in transportation, communications, and utilities, again reflecting a drive to participate in industries that may rely on more formal procedures, like civil service exams, bus driving tests, and other objective tests that were precisely intended to avoid bias, discrimination, and favoritism inherent to hiring through networks. The important role of public employment to black workers has led to some tension. Latinos have sometimes argued that their share of public employment should reflect population parity. While that makes some sense, a better measure might be the share of native-born Latinos who hold public sector jobs. Table 1.1 suggests a disparity between Latinos and blacks, although it is shrinking (see last column). Both African Americans and U.S.-born Latinos are more reliant on public employment than whites are, but a much larger share of the African American workforce is in the public sector; over time, the gap between the two has shrunk nearer to parity nationally, but the progress in reducing the gap in Los Angeles County has been slow. Still, it is notable that the share of whites holding public employment in Los Angeles actually rose slightly between 1990 and 2005-7, while it fell by nearly two percentage points for blacks and about half a percentage point for U.S.-born Latinos. As with immigration, competition in this arena between blacks and Latinos is misplaced; both groups have actually lost shares relative to whites. Of course, it's not just jobs at stake: given the close proximity of the two populations in urban areas, many Latinos have been suggesting that some traditionally African American public institutions, including places like the downsized Martin Luther King Jr./Drew medical center in South L.A., should become more sensitive to the needs of a burgeoning Latino and immigrant population and diversify their workforces. However, it is no small thing to ask African Americans to relinquish the exact jobs they fought for years ago and, instead, enter sectors with less formal hiring structures that enable discrimination. Another obfuscated issue is the degree of work effort and labor market disconnection as it relates to poverty. Analysts of urban poverty tend to suggest that African American poverty results mainly from joblessness, while Latino poverty is driven by low wages at steady jobs. In other work, we have shown that this is a bit of a mischaracterization at the national level once we account for nativity: African Americans and U.S.-born Latinos living below the poverty line have similar rates of full-time year-round work and other workforce attachment similarities (Pastor and Carter 2009). Figure 1.12 shows that the situation is dramatically different in Los Angeles, however, where a breakdown of work effort for blacks, U.S.-born Latinos, and immigrant Latinos shows very different patterns, particularly for those falling below the poverty line. On the policy side, the challenge is that these two different routes to poverty-working and not working-call for very different strategies for improvement. Disconnection calls for job training and job placement, with the underlying model being one in which workers are provided long-term programming as they build a bridge back to the labor market; working poverty, on the other hand, calls for living wage strategies, rapid unionization, and training programs that occur in small doses, such as adult education either on the job or at night to accommodate work schedules. One of the most significant issues of disconnection is incarceration and its aftermath. Nationally, black men are incarcerated a rate 6.7 times that of whites and 2.7 that of Latinos. In Los Angeles in 2009, 37 percent of state prison inmates (men only) identified as African American, 40 percent as Hispanic, and 19 percent as white (see figure 1.13). Nationally, African Americans also compose the largest share of incarcerated people in all age categories (West and Sabol 2008), but in L.A., black men are the plurality (49 percent) only from ages 40 to 59; Latinos compose the plurality (52 percent) of men aged 18-35. Across all ethnicities, the largest group of incarcerated men is in the age bracket 25-29 years, with 55 percent of them Latinos and 28 percent blacks. This share of the population is squarely at the beginning of prime working age-and they will encounter persistent discrimination and disadvantage once they leave the system and try to make their way into communities and labor markets. Rather than suggesting that Latinos and blacks are squarely at odds with one another, the analysis above suggests Latinos and African Americans alike need better and more work. But building real coalitions also requires recognizing difference. Labor market disconnection is important for everyone, but it is particularly important for African Americans, especially those returning to the economy after prison. Major investments in adult education are important for everyone but particularly for immigrant Latinos, and key to this is a vast expansion of English classes, given that improving language skills can lead to significant increases in wages as well as enhanced mobility. Immigration does bring competition between groups, but that competition is overstated, as is the conflict around the higher shares of blacks in public sector employment, particularly when we understand how it is that public jobs have helped blacks move past discriminatory barriers and how both U.S.-born Latinos and blacks have seen their share of public employment slip. Popular rhetoric is correct in that there are some tensions, but those tensions are workable, and the benefits of working together should dominate. Indeed, both groups share the key elements needed in a workforce agenda: a better performing education system at all levels, a broad commitment to new employment that can replace the role of manufacturing, and the sort of public transit system that will connect blacks and Latinos to jobs. But getting there will involve getting past the obvious agreements to what we have termed "uncommon common ground"-the places where conversations are tougher exactly because there are differences, trade-offs, and hopefully agreements about how to move forward together (Blackwell et al. 2010). This is the stuff of coalition building, and it has been preoccupying the attention of progressive organizers in Los Angeles for decades (Pritchard and Pastor 2012). Indeed, black-brown coalitions have a long pedigree in Los Angeles (Pulido 2006), and in the words of one long-time Latino activist in Watts, Arturo Ybarra, "Day to day, we all get along" (Ciria-Cruz 2007). Part of this day-to-day living together is also the result of the heroic efforts of numerous community groups that have tried to go beyond a simple notion of "same struggle, same fight" and instead have forged a common strategy based on an honest discussion of differences. They have understood the nuances and realities of demographic change and workforce issues within the black Latino dynamic and used scalpels, not axes, to produce both better politics and better policy. They have helped inform others about respective histories of organizing for justice, including the civil rights struggle, the Chicano movement, and the leadership of immigrants in the revitalized labor movement. But they have also taken seriously the sense of economic and social displacement felt by African Americans as immigrants make use of the hard-won language of civil rights. These efforts to unite black and brown in Los Angeles are too many to name and analyze, ranging from the geographically focused Watts/Century Latino Organization, which Arturo Ybarra heads, to the regionwide Bus Riders Union, a highly successful effort to organize the mostly black and Latino users of mass transit in L.A. For reasons of space, I highlight here three efforts focused on workforce issues: the attempt by unions to enhance their black membership, the youth workforce development of the Community Coalition in South L.A., and the broader economic strategies pursued by Strategic Concepts in Organizing and Policy Education (SCOPE) and the Los Angeles Alliance for a New Economy (LAANE). The union effort represents a 180-degree turn from L.A.'s history as the viciously anti-labor "wicked city" of the early twentieth century (Milkman 2006). The revitalization has occurred because of the mobilization of a largely immigrant workforce in service industries, such as hotels and cleaning. Indeed, one of the hallmark moments of the new labor movement was the Justice for Janitors campaign, which eventually led to a strike and the June 1990 demonstration in Century City, which drew an attack by police. The public and political backlash was significant enough to produce union contracts in nearly all Century City buildings, "the largest private sector organizing success among Latino immigrants since the United Farm Workers' victories nearly two decades earlier" (Waldinger et al. 1996: 1). The 1990s brought a wave of service sector organizing, cresting when the janitors fought for a new contract in April 2000. Strikingly, their march and demonstration, again in Century City, was led by elected city officials and cheered on by bystanders, and it resulted in a 25 percent increase in wages over a three-year period, more than had been won in any other janitorial contract in the previous twenty years (Cleeland 2005). The union movement had also gained ground in terms of public policy, with the passage of a citywide living wage ordinance in 1997 and the winning of a community benefits agreement in 2001 that guaranteed that a majority of the jobs generated from the expansion of the Staples Center would be either living-wage or union. In order to ensure that African Americans would not be left behind and to shore up a black-Latino alliance, special efforts were undertaken. The Service Employees International Union (SEIU), the union that had led the janitorial campaign, launched the Five Days for Freedom campaign to sign up thousands of licensed security guards-a sector that is 70 percent African American in the region. Explicit in their campaign was the desire to bring economic benefits to black Angelenos: "If L.A.'s multibillion-dollar-a-year real estate industry paid security officers the same wages and benefits it has agreed to pay janitors, it would bring an estimated $100 million more a year into South Los Angeles, where most of the security officers live." In November 2006, more than five thousand guards won the right to unionize. In the same vein, UNITE-HERE! Local 11 is using collective bargaining to ensure that African American workers are hired by the hotel industry. Starting in 2005 with the Beverly Hilton, UNITE-HERE! Local 11 began securing contracts with diversity clauses that require hotels to hire African American workers, among others-clauses now ubiquitous in UNITE-HERE! contract negotiations. However, managers have struggled to fulfill their obligation, because, they say, many African American applicants are not work ready. In October 2009, UNITE-HERE! held its first week-long Hospitality Diversity "Bootcamp" in collaboration with hotel managers and LAANE, mainly intended for out-of-work African Americans. UNITE-HERE! is working on both the supply and demand, making sure that hotels are hiring the right people and that those people are ready. The organizers at the Community Coalition of South Los Angeles focus on youth and workforce readiness. While CoCo (the organization's nickname) started with ousting liquor stores from street corners, mostly because of concerns that the stores were crime magnets making life difficult for nearby residents, the organization now has a focus on bringing together black and Latino youth to agitate for better education and better job possibilities. In 2005, the mostly black and Latino students led the Equal Access to College Prep Classes campaign, an effort to ensure that schools in South L.A. and elsewhere in the region would provide the same platform for university entrance, and they won in a 6-1 vote by the Los Angeles Unified School District. Amid cheers of "the students united will never be defeated," then CoCo organizer, Alberto Retana, said that this "woke up a whole new generation of activists." Interestingly, that generation, as well as their parents and other community members, turned to a whole new fight: the creation of the Architecture, Construction, and Engineering (ACE) Academy. CoCo members and allied organizations, specifically the building trades, strategized about how to prepare students straight out of high school for construction jobs and, simultaneously, for college, where they would have a leg up in becoming engineers or architects. With the hopes of moving toward greater parity in the building trades, a sector that provides quality jobs and has seen some inroads by Latinos, especially in the lower-end laborers category, CoCo originally tried to house the ACE Academy at Dorsey High School, an institution with a relatively high percentage of black students (recall figures 1.5 and 1.6). But because there was more receptivity at Locke High School, the academy opened there in the fall of 2009 with the hopes of equipping its students with an applied, rigorous education and options after graduation-ensuring that the next generation of black and Latino workers will have more opportunities than the last. Finally, two community-based organizations have been especially regional in their strategies for restoring lower-income neighborhoods. When the City of Los Angeles awarded a public subsidy to DreamWorks for its entertainment center development, a condition of that award was a program to train residents from lower-income areas. That condition was granted only because of the pressure applied by Strategic Concepts in Organizing and Policy Education. SCOPE has also helped create a health care training program and has now launched a "green jobs" campaign, mobilizing its mostly black and Latino membership along the way. The Los Angeles Alliance for a New Economy is a labor-affiliated think tank that has worked with black and Latino residents of Inglewood to stop a low-wage Wal-Mart from setting up in the area and also led a recent effort to clean up the port trucking industry while securing better working conditions for its mostly immigrant Latino drivers. Profiled extensively in Pastor et al. 2009, these groups have built coalitions by broadening their sights beyond their South L.A. sites to the wider region; as the founder of SCOPE, Anthony Thigpenn says, "If you want to help South L.A. you can't talk about South L.A. apart from the region" (121). Scaling up from the neighborhood to the region helps put black-Latino neighborhood issues in perspective. The regional level helps the organizations discover more resources to be tapped, more sectors with whom to forge alliances, and a larger low-income and minority constituency for their broad social justice agenda. While their scope may be regional, particularly concerning jobs, the organizing has been decidedly local, personal, and nuanced. LAANE and the unions have paid attention to the inclusion of African Americans, even though the labor movement has been revitalized mostly by Latino immigrant constituencies. CoCo has consistently groomed a youth leadership capable of bridging the black-Latino divide in an area of the region, South L.A., where the most day-to-day contact is. SCOPE (see below) has hosted black-Latino dialogues for their members, creating a space to stop and reflect amidst their busy work. In his landmark study of the Industrial Areas Foundation, an interfaith and interethnic network, Mark Warren (2001) notes that these conversations about race are like those of marriages: it's not a question of whether conflict will come up; it's how you deal with it (155). Covering an earlier period, Regalado (1994) argued that without open and honest dialogue, "healing" moments don't happen, and multiracial coalitions stay stuck in symbolism. That describes the Bradley era; the delight about a black mayor was matched by the lack of neighborhood progress for low-income communities, fueling the cognitive dissonance that produced the L.A. civil unrest. The newest efforts are focused on the heart of the matter-neighborhood crowding, institutional change, and workforce competition-and the hard conversations necessary to defray tension, build trust, and keep the focus on developing solutions. In October 2007, shortly after I had moved back to Los Angeles to take a job at USC, I was asked by organizers at SCOPE to help lead a conversation to launch a new "green jobs" initiative. One would have thought that the initial discussion would have been mostly about environment constraints, climate change, and workforce development, but no: I was asked, along with Karen Bass (the founder of CoCo and the first African American female to be speaker of a state assembly) to lead a group of constituents through a discussion of black-brown tensions. With a crowd of 150 eager to engage, Bass and I did a tag team presentation about South L.A.'s past and present, then opened it up to the audience. The questions and statements were heartfelt and sometimes just a bit rude. One young man related, "I used to like Mexicans, but I just don't like these new Mexicans." An older man suggested that "Latinos are taking jobs because these young black guys don't want to work." It was clearly not the polite chit-chat of an ethnic studies colloquium, but it was definitely real. And it produced something else in the end that was very real: starting with the differences and working through the tensions, SCOPE was able to organize a broad coalition that eventually won a city ordinance in April 2009 for the "green" retrofitting of city buildings, including a priority on those buildings in inner-city communities and policies that included local hiring, creating career pathways, and promoting unionization through project labor agreements. In terms of dealing with economic revival and social justice, more remains to be accomplished, to be sure, but getting there will involve the sort of honest, frank, and forthright discussion that SCOPE has modeled, all in the service of fortifying the black-Latino alliance that is an important part of the rebirth of progressive politics in Los Angeles. Despite the doom and gloom many observers offer-something about L.A. just screams for noir-the region has come a long way. The city has just experienced eight years of a Latino mayor with deep roots in the progressive community and a long history of commitments to civil rights issues. City officials are pursuing vibrant economic justice movements and a range of innovative new policies to promote job creation, extend financial services, and improve education. All of this is taking place on a landscape scarred by decades of deindustrialization and now battered by the economic collapse that started in 2008. But we are a far cry from the pessimism-about both the economy and race relations-that the region felt after the 1992 civil unrest. Multiracial and transformative organizing has been essential to restoring that sense of hope. As for the Los Angeles ahead, the way won't be easy. It will require tough conversation as well as clear policy to overcome historical and current racial and ethnic tension. But one of the ways that analysts in the academy can help activists on the ground is to provide the facts and frameworks that directly challenge the dominant narrative of competition. Competition, after all, may be part of the truth, but making it the whole story serves to divide and disempower, perhaps explaining exactly why it has become the dominant and singular portrayal of black-brown relations in L.A.
Competition isn't the whole story at all. Groups like LAANE, SCOPE, and CoCo are seeking both to reshape power structures and to build relationships among their members along the way. Staffing them is a generation of community organizers that seems attuned to the concept of interwoven destiny, and being organized by them is a generation of black and Latino youth that have been raised in adjacent homes in Los Angeles, unlike their parents. Their relationship is much more "we" than it is "us" and "them," and this is exactly the model that Los Angeles will have to embrace if the hype about black-Latino conflict is to be set aside in favor of an alliance that can transform this region and, one hopes, the rest of metropolitan America. Acknowledgments: Thanks to Josh Kun and Laura Pulido for their encouragement of this essay, to the two of them and to two anonymous reviewers for their comments on early drafts, to Vanessa Carter for her able research assistance, and to the Evelyn and Walter Haas Jr. Fund for supporting the research underlying this work. 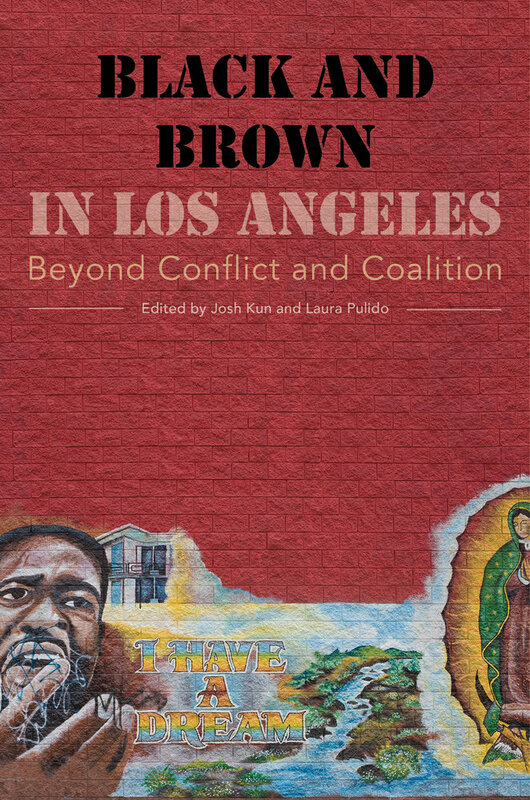 Black and Brown in Los Angeles is a timely and wide-ranging, interdisciplinary foray into the complicated world of multiethnic Los Angeles. 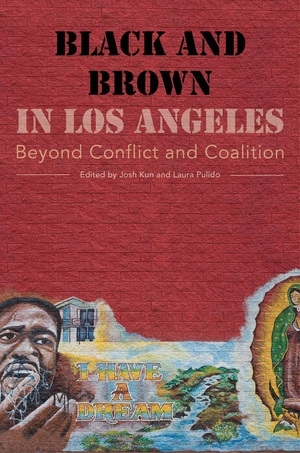 The first book to focus exclusively on the range of relationships and interactions between Latinas/os and African Americans in one of the most diverse cities in the United States, the book delivers supporting evidence that Los Angeles is a key place to study racial politics while also providing the basis for broader discussions of multiethnic America. Students, faculty, and interested readers will gain an understanding of the different forms of cultural borrowing and exchange that have shaped a terrain through which African Americans and Latinas/os cross paths, intersect, move in parallel tracks, and engage with a whole range of aspects of urban living. Tensions and shared intimacies are recurrent themes that emerge as the contributors seek to integrate artistic and cultural constructs with politics and economics in their goal of extending simple paradigms of conflict, cooperation, or coalition. The book features essays by historians, economists, and cultural and ethnic studies scholars, alongside contributions by photographers and journalists working in Los Angeles. Josh Kun is an Associate Professor in the USC Annenberg School for Communication & Journalism. His books include Audiotopia: Music, Race, and America (California, 2005) and Songs in the Key of Los Angeles: Sheet Music and the Making of Southern California (Angel City Press, 2013). Laura Pulido is Professor of American Studies and Ethnicity at USC. Her books include Black, Brown, Yellow, and Left: Radical Activism in Los Angeles (California, 2006) and A People’s Guide to Los Angeles (California, 2012). 14. “Just Win, Baby!” The Raider Nation and Second Chances for Black and Brown L.A.
15. What Is an MC If He Can’t Rap to Banda? Making Music in Nuevo L.A.